As anyone who’s ever spent any time traveling in an RV can tell you, operating an RV can be expensive! Even if your vehicle is all paid off and in good condition, you still have to contend with ongoing costs and fees — and that’s before you add on all the costs of a trip, like food, parking, utilities, and entertainment. Unless you’re independently wealthy or completely carefree when it comes to your personal financial situation, saving money while you’re out in your RV should always be a priority. Who among us isn’t looking to save a buck? 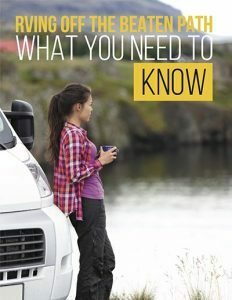 In that spirit, we present to you these 30 helpful tips for saving money so you can keep your RV costs low and your adventure level high. Try not to drive if you know you’ll be heading into strong winds. They can increase drag on high profile vehicles and make you burn a lot more fuel than you need to. Slow down! In a large vehicle like an RV, driving faster than 55 is usually terrible for your fuel economy. Choose routes with the fewest stop lights so you’re not continually stopping and accelerating. Make sure your tires are inflated to the proper pressure. You can find it listed either on the tire itself or in your RV owner’s manual. Don’t bring what you don’t need, especially if it’s heavy. 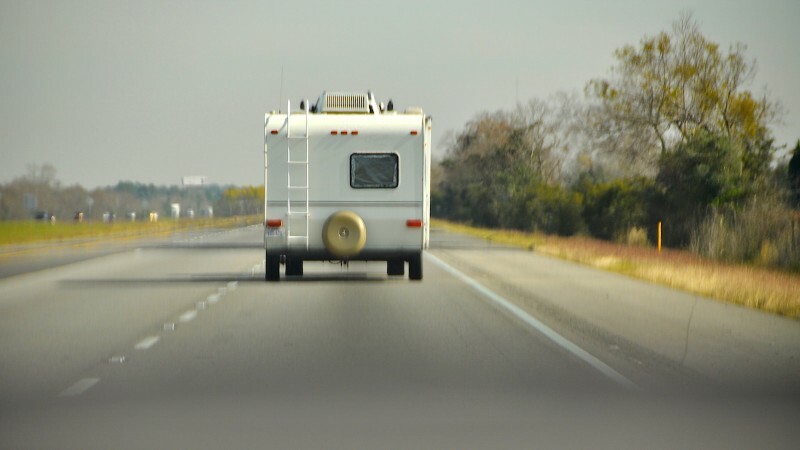 The heavier your RV, the worse your mileage. 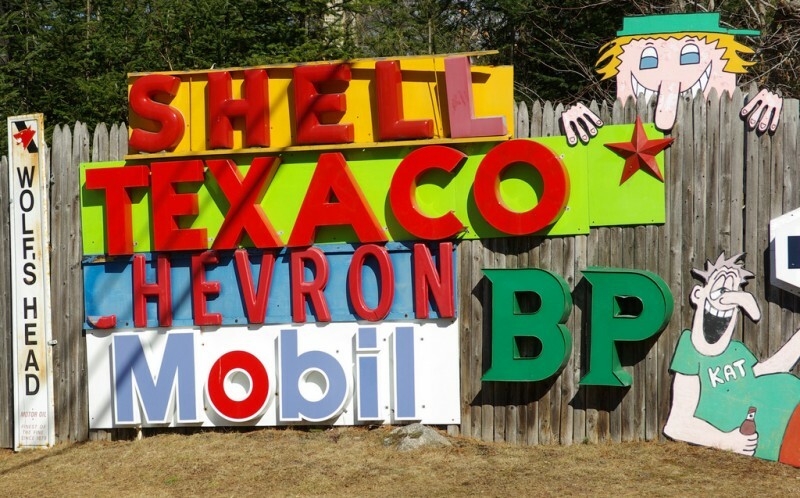 Get regular oil changes, as frequently as your RV’s manufacturer recommends. Taking good care of your rig’s mechanics will go a long way in preventing costly repairs. Replace worn or old tires. You’ll get better mileage, and your chances of dealing with a flat are reduced substantially. Learn as much about your RV as possible so you can do small repairs yourself. We’re not saying that you have to know how to take the engine apart, but you should be able to tackle smaller jobs yourself (like swapping out windshield wipers). 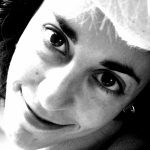 If something needs fixing, do it sooner rather than later. As anyone who has driven any type of vehicle can tell you, small problems lead to big problems, and big problems can get pretty expensive to repair. Travel in the off season when RV park rates tend to be lower. 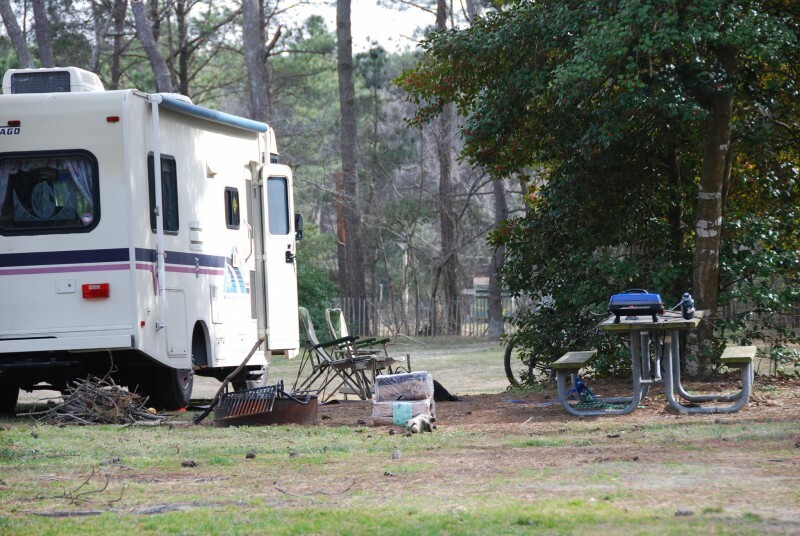 If you decide to stay an at RV park, no matter what time of year, try to stay in one place for at least a week. Even better, stay for a month. Longer stays mean lower per-night costs. Stay at state parks and other public campgrounds. Your hookups may be more limited, but the cost of parking your rig for the night is typically a lot lower than RV parks with tons of amenities. Speaking of amenities, don’t pay for what you don’t use. If you just need a place to park and get some hookups for a few nights, don’t choose a high end RV resort with three pools and an on-site spa. All of those extras are reflected in your per-night charges, even if you don’t have the time or desire to take advantage of them. Don’t be afraid to ask for lower rates. This is especially the case if you’re staying for a longer period of time. RV Park rates aren’t carved in stone, and if you plead a convincing case, you could find yourself paying less for the same services. Look for RV parks that will take a work trade instead of payment for a night’s stay. A few hours of your time spent cleaning facilities or tending to the grounds could mean a slot with hookups for free. Learn how to boondock, or dry camp. If you know how to fill your tanks, charge your batteries, and conserve on an extreme level, you can go without paying for a spot or services for several days, which can add up to big savings. Heading out for the day? Pack sandwiches and snacks in your backpack so you won’t feel tempted to overspend on convenience food. Once you arrive at your destination, don’t overbuy on groceries. Aside from spending more money than you need to, you may max out your refrigerator and storage space. Before you leave on your trip, visit your local warehouse club store (like Sam’s Club or Costco), buy in bulk, and then make smaller packages for your trip. You’ll save on your RV supplies, and you’ll come back to a house that isn’t completely devoid of food or other necessities. Don’t buy bottled water! Drinking water at RV parks is tested and safe. If you want it cold, fill up a few pitchers and park them in your fridge. Have a lightweight set of dishes in your RV and wash them after you eat. This will not only keep the weight of your rig down (and help with fuel economy), but you won’t have to continually spend money on paper plates and disposable forks. If you move around a lot, especially in places or during seasons where you want to be outdoors, get an annual National Parks Pass. It costs $80, and that’s for a single vehicle and all of its occupants, not per person. Ask at the local visitors center about free or low cost attractions in the area. When you stop for the night, look for discounts for local attractions. Some will have pay what you can days, others will be free to seniors one day a week, and others will have other types of deals. Many museums and places of interest will have free hours on a regular basis as well. Ask yourself if you really need that high end digital TV antenna. Or that giant television. Or the PS4. If you’re heading out in your RV, you want to have a great adventure, not sit inside and stare at a screen. Love to bike? It may be more cost effective for you to bring your own than to rent everywhere you go. If you’re at an RV park, see if there’s a media library for guests. You might find a DVD of an old movie you haven’t seen, or a board game you haven’t played since you were a kid, or a book of scary ghost stories to tell around the fire — and they’ll all be free. Do as much research as you can ahead of time. If you know you’ll be in a certain area on a certain day, look for free local festivals, cheap places to park for the night, and any other opportunities to keep your cash in your pocket. If you’re frugal at heart and love a great deal, you know that there are so many ways to save money when you’re out on the road. We given you our best 30, but surely there are more ways to cut costs while RVing. What are your best pieces of advice for saving money in an RV? Tell us in the comments!